OMG Posters! » Archive Brian Ewing's "Glow In The Dark Skull Set" Art Prints - OMG Posters! Brian Ewing made this set of glow in the dark skull prints for Comic-Con, and he saved a few back for online sales. 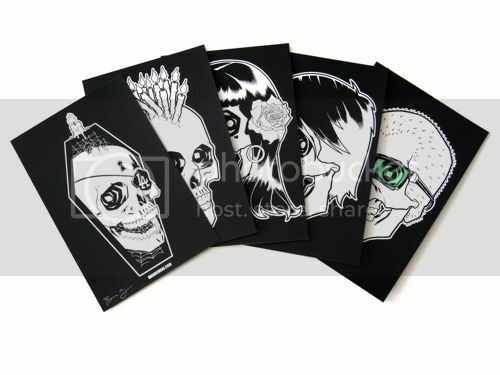 The set includes five 6″ x 9″ screenprints, has an edition of 40, and is only $25. Visit BrianEwing.com. Done! Got one! Thanks, Mitch!